A dread body is a voicing body, an echoic vessel, in several senses. One important and widespread lyrical trope is that of dread. “Judge Dread” is a ctional character that Prince Buster can claim to have invented with his Judge Dread Rock Steady, released in 1967. Several lyrical encounters were voiced as courtroom dramas between Judge Dread and the Rude Boys, including a number of twelve-inch singles, such as “The Barrister” and “Judge Dread Dance (The Pardon)” on the same rhythm track. There were also a number of answer records in the rude boys’ defense, such as Derrick Morgan’s Tougher Than Tough and Lee “Scratch” Perry’s Set Them Free. Jako Maron, was born in St Denis, Reunion Island in 1968. He developed an interest in electronic music composition from the late 90’s and for the last 15 years began experimenting with the tertiary and binary beats of Maloya music via modular synthesis and drum machines. This album compiles for the first time his electro-Maloya experiments. Traditional Maloya described the songs, music and dances of slaves of sugar plantations of Réunion Island in the 17th Century – Maloya ceremonies paid tribute to ancestors and mediated between the living and the dead. The music and culture began to be more widely accepted by Réunionese society from the 1930s as folklorist Georges Fourcade began to play Maloya songs. By the ‘50s, Maloya tracks were appearing on 78rpm releases and, in the ‘60s, it was used as a form of cultural protest music. 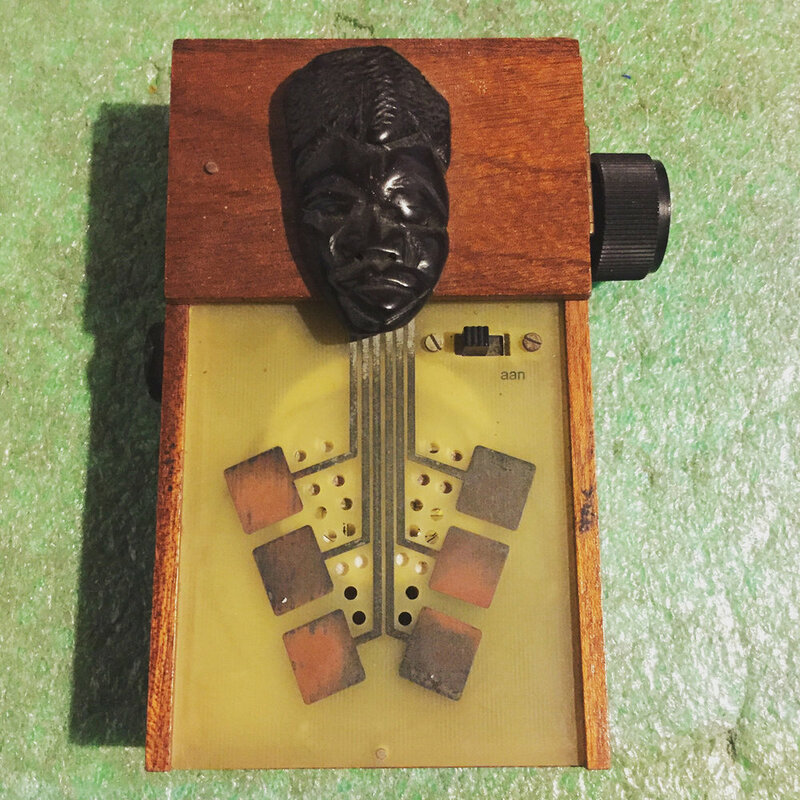 In the mid-‘70s, a new generation began exploring new directions in the music, using Créole language and may different styles of Maloya music emerged. Jako Maron explores the full spectrum of these styles through his electronic re-interpretations of his native land’s music. I won’t even begin to pretend like I’ve spent any time with other Maloya music, though I know that’s only a matter of time. Just taking the music as experentially, as viscerally as possible, it’s a testament to the vast spectrum presented by a transcendent unknown infinite (or spirituality if you like). The rhythms march forth rigid, forcing you to delve into the beats not struck, the melodies not present. Subtraction is often the most additive force. Maron’s music displays an early John Carpenter-like brutalism, both in the sounds it pummels forth and the images it conjures. Albeit one seemingly removed from the western pop culture vernacular, allowing it genuinely open up a place for the listener to sincerely experience its countless wares. Much like D Double E’s Jackuum, there’s an iciness that cuts through the album’s warmest ecstasies and can be felt from the opening seconds of “Batbaté Maloya” and its two-tone bassline that fixates largely on one bigger-than-the-box note, the second one appearing for an eighth-note every three-and-a-half bars, instantly calling the listener hither by its ornery notation. The track serves to drop the listener in the deep end of Maron’s truly singular sound world, one that takes a microscopic lens to the 6/8 time signature and squeezes out rhythmic impossibilities out of the silence, the sonic layering invoking the simple-yet-infinitely-complex patterns of the cover art. And while “Maloya Valsé chok 1” move the meter into a more familiar 4/4 context, the dragging drums remain stuck in the swinging triplets that pulsate through the whole record, shakers brought into the music to minimally fill out the ever-complex picture that comes into view over the course of the next hour.